SOUTH Belfast residents have been left shocked in the wake of a 15-day upsurge in burglaries and thefts from vehicles. Between February 10 and 24 there were nine burglaries reported to the PSNI – these ranged from a break-in at a commercial property to burglaries at private properties. A commercial premises on the Upper Lisburn Road near Finaghy was burgled during the night of February 10 with a sum of cash stolen. The lock on the rear door was forced to gain entry. On February 19 an elderly female was awoken in her home in Sicily Park around 6am by a man who she believed to be a carer there to move her from her bed to a chair. There was no violence used or threats made, however the lone male left with a sum of cash. A bike was stolen from the garage of a home in Osborne Park on February 21 and on February 24 a burglary was reported in Trossachs Drive off Finaghy Road South, where a laptop and keys were stolen. Six separate incidents involving car crime were reported, with cars being broken into and bags and/or sums of money being stolen. These incidents happened in Trossachs Gardens, Erinvale Drive, Sandringham Street, Windsor Avenue and Sharman Road between February 11 – 23. In Sicily Park on February 10, 400 litres of home heating oil was stolen, while on February 27 in Balmoral Avenue a house under renovation had lead stolen from its roof. On February 10, also in Balmoral Avenue, a resident disturbed two males who had climbed over a gate of the property. They ran off towards the Lisburn Road. On February 15 two males robbed Thomas Cook travel agents on the Upper Lisburn Road at knifepoint. A car hijacked at Adelaide Park on February 19 by two males was later found abandoned. On February 20 there was an attempted hijacking in Newforge Lane with one male being arrested and on February 25 in Boucher Crescent a male hijacked a car with two young children on board. Members of the public intervened and stopped the car. One male was arrested at the scene when police arrived. 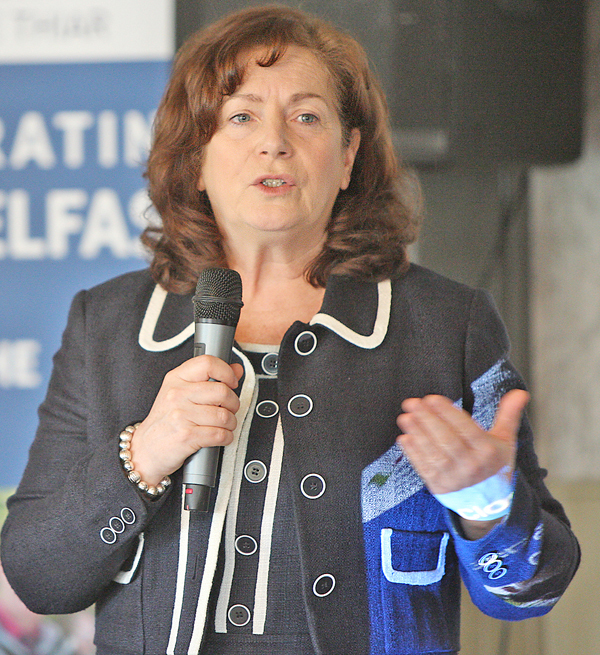 Balmoral Councillor Geraldine McAteer said: “I have been in touch with PSNI regarding the break-ins, the hijacking and attempted hijacking and, most significantly, the robbery at knife point at the Thomas Cook office at Finaghy.